A twin pack of colour coded pressure sprayers, so you can keep your plant feeding and weed killing separate. 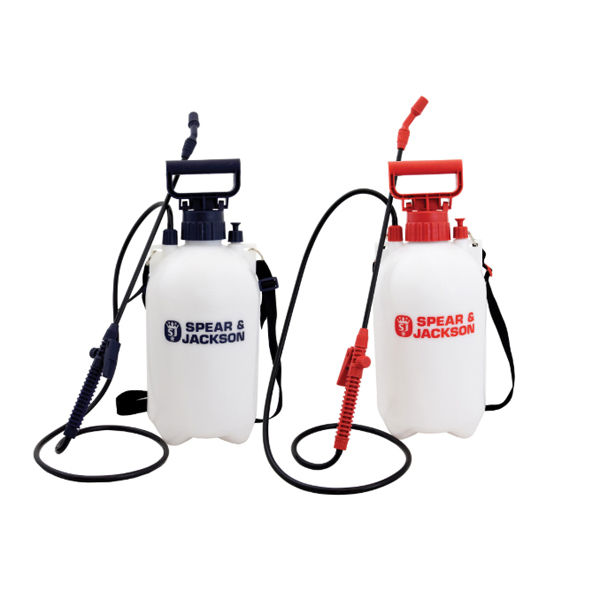 Spear & Jackson 5 litre pump action pressure sprayers feature a pressure release valve, shoulder strap and translucent graduated markings in litres and fluid ounces for accuracy when filling or mixing within the bottle. With 56cm (22in) watering wand and 1.3m (4.3ft) hose for use in awkward or inaccessible places. Fully adjustable wand nozzle from spray to mist, lockable trigger mechanism and water flow regulator.